Xero’s built-in quote tool offers a tremendous amount of functionality that makes quoting, estimating, and invoicing as simple as a few clicks or taps. The tool is a single-entry tool, meaning that the information you enter into new quotes or estimates is instantly transferable to invoices without the need to re-enter all of the information all over again. Using the quote tool will make your business more efficient. Below is a description of the tool’s most important features. Once you learn how to use it, you’ll wonder how you ever got along without it. Getting started with Xero quotes is as easy as navigating to the Sales section using your computer or mobile device. Then click the ‘New’ button to start a new quote. At the top of the page you will enter the customer’s name, the date of the quote, the date the quote expires, and a quote number if applicable. You can even give the quote a title if that helps you remember it. Next is the quote summary. Here you can summarise the kind of work you will be doing for your customer. Underneath the summary window is the place to enter a detailed account of the work and its associated costs. There are four lines automatically built into new quotes; you can add additional lines simply by clicking ‘Add’ button at the bottom. When you’re done, click the blue ‘Save’ button or the green ‘Send’ button. You can change the look of your quotes by going into the Invoice settings. Once in the settings, choose the theme you are using for your invoices. The new screen that opens lists more than a dozen options that you can modify to your liking. For example, you can change the ‘Quote’ text to say ‘Estimate’ instead. You can choose your font, text size, logo and more. The ‘Accounts’ tab inside Xero is where you manage all of your quotes. Clicking on that tab reveals a new page with five additional tabs below. Here you can see all of your quotes, or view them separated as drafts, sent, accepted, or quotes converted to invoices. From here you can edit quotes simply by clicking on those that need changes. You can copy information from one quote to the next for fast and efficient quoting. Once your customer agrees to a quote and hires you, check the box next to that quote and click the ‘Accept’ button. Now you will be able to use that quote to generate an invoice later on. To generate invoices from quotes, just navigate to the ‘Accepted’ tab and check the box next to the desired quote. Then click the ‘Create an Invoice’ button. This will open the quote in a new window where you can make any necessary changes. Remember, all the information from the quote is carried over to the invoice. You may not need to make any changes at all. Click the ‘Approve’ button to finalise the invoice and the ‘Send’ button to immediately e-mail it to your customer. Upon receipt, your customer will be able to pay you instantly online. 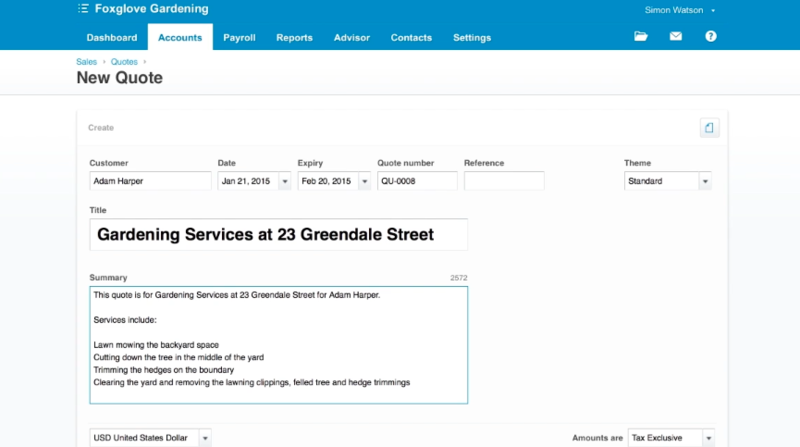 Xero’s built-in quote tool makes it a lot easier for you to send quotes and generate invoices. And because everything is at your fingertips and in real time, you can handle quoting and invoicing even if you are not in the office. 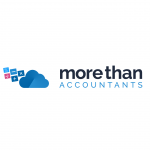 It is yet another reason to choose Xero as your cloud-based accounting platform.